The annual fundraising campaign by FIS-ASP based in Grafenrheinfeld has a long tradition. Instead of giving Christmas presents to customers, money is raised for a good cause for a regional project. This year, 5,000 euros are going to the Main-Rhön women’s shelter in Schweinfurt. Under the auspices of the “Frauen helfen Frauen” (Women help women) association, which also includes the contact point for sexual violence against girls and women, the shelter offers a place for women who wish to escape from violent situations, as Ute Hofmann, the new director of the women’s shelter, explained during the handover of the donation check. The women’s shelter in Schweinfurt offers twelve places for women and 18 for children for the whole region. “That is by far not enough to cover the demand. 60 women had to be rejected last year,” explains Mrs. Hofmann. The generous support is much appreciated since the donations are urgently needed and “thoughtfully and meaningfully” used for the various offers reaching from the outpatient consultation by telephone or personally with a 24-hour on-call service and psychological accompaniment and assistance in all areas of life up to aftercare and a reunion of former shelter residents. The aim is to “release every woman into a free and self-determined life without violence”. Violence against women equally occurs in all social classes. Since 2015, it has also included refugees whose care poses a “special challenge” for the full-time and voluntary staff. The FIS-ASP donation campaign was well received by customers as the feedback showed and this year’s donation was again a great help to the right institution according to Managing Director Robert Schuhmann. 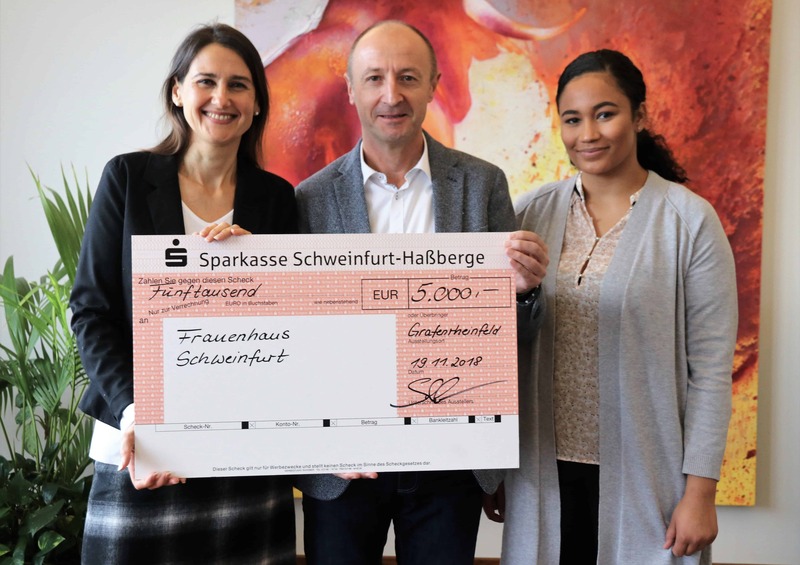 The picture shows from left to right: Ute Hofmann, director of women’s shelter, Robert Schuhmann, managing director of FIS-ASP, and his employee Larissa Dolata.